Is a Bionic Goalkeeper Possible? Anticipation and Intuition. Remember the summer? Penalty kicks that to a great extent decided the world championship in soccer? What’s the connection between a successful goalkeeper and the company presidents who made Google, Audi, SAP, Telefonica—to name very few—stars of the stock market? The answer is anticipation. But we could reach a conclusion before looking at the arguments. Let’s take a detour. Five years ago, a very courageous cognitive scientist, Miguel A. L. Nicolelis, reported on “actions for thoughts.” His article, in the prestigious Nature (January, 2001) started with a description of scenes from the final World Cup game of 1970 between Italy and Brazil: a clever throw-in by TostÃ£o, a simple flick of Rivelino’s magic left foot and the crowd that packed the stands slowly rose in anticipation [emphasis author’s]. Pelé floated above all the Italian defenders to encounter the ball in mid-air. After that almost poetic introduction—the scientists happens to be from Brazil—Nicolelis reported on real-time direct interfaces between the brain and electronic and mechanical devices—which was his scientific and technological accomplishment at Johns Hopkins University in Baltimore, Maryland. Such interfaces, he wrote, could one day be used to restore sensory and motor functions. Here is the diagram of such an interface. And here is my question: Would Pelé, or any other player coming out of an operation be capable of the anticipation that made him so successful and famous? Would Lehmann anticipate the ball and give Germany the victory? Would Nicolelis himself, a scientist with impressive anticipatory qualities, be the scientist acknowledged for pioneering work in brain prostheses? Players, as well as company presidents, are subject to injury and illness. Therefore the question: Can such devices implanted in the brain replace defective parts without affecting our performance, in particular the ability to forecast, predict, guess, intuit, anticipate? Replaced knees or hips and cochlear implants are already helping persons in need; an eye prosthesis is in progress. These are simple thoughts meant to introduce the reader to the subject of anticipation, and to its more casual embodiment in what we call intuition. What we want to gain by entertaining such thoughts is enough understanding of what anticipation and intuition are in order to provide even a tentative answer to the questions formulated so far. Yes, if the mind is intact but the artificial knee does not perform alike a natural knee, the action will not be successful. Of the cochlear implant affects hearing, the sound component of the anticipatory process will not suffice for successful action. But even with an artificial hip or an eye prosthesis, intuitions remain possible. Because, as opposed to anticipation, always expressed in action, intuition remains in the realm of mind activity. Therefore the question of whether a brain prosthesis affects intuition remains open for the time being. The hunch, the gut feeling, the insight, the inspiration, emotional thinking, and quite a few other semantic equivalents stand, depending on the context, for what we call intuition. The etymology is far from delivering the magic key to unlocking the various aspects of intuition. Indeed, the late Latin intuitio—the act of contemplation—is probably already loaded by the religious practice of divination in the space (templum) dedicated to the reception of enlightenment. But 200 years before intuitio, there was intueri, which is as simple as to look at. (Does the goalkeeper only look at the player who will execute the penalty kick?) Yes, intuitions always seem obvious—after the experience. You look at something and—voilÃ !—intuition guides you in avoiding a dangerous situation: You pilot an airplane and somehow know how to find a way out of a storm; or in finding the path to some desired result—as in a game of chess. Moreover, it suggests that, when we are faced with many choices, the right feeling guides us, in the shortest time, to the shortest or best path, to the less obvious but right next decision. “These â€˜feelings’ have an efficiency of operation which it is impossible for thought to match. Even our most highly intellectualized operations depend upon them as a â€˜fringe’ by which to guide our inferential movements. They give us our sense of rightness and wrongness, of what to select and emphasize and follow up, and what to drop, slur over and ignore among the multitude of inchoate meanings that are presenting themselves …. These qualities are the stuff of â€˜intuitions’ (cf. John Dewey, Experience and Nature, 1925). There is a lot to dwell upon: intuition is pervasive, efficient, implicit, fast. But as much as to the tall tales of successful intuitions would make us want to believe that they are infallible, they are not. Intuition is not a saving grace for the ignorant; rather the result of experience, even if the experience is not directly connected to the situation. If the same energy and missionary fervor were invested in debunking intuition as in idealizing it, we would get a balanced view of a form—one among many—of access to knowledge and successful action. As often as some intuitions succeed—and keep feeding all kinds of urban mythology production—others fail, and go unrecorded, although we could, after the event, learn as much about intuition processes from failure as we learn from success. This important characteristic—the fallibility of intuition, i.e., they succeed or fail—suggests that here we are, as we are with anticipatory processes, in the territory in which deterministic and non-deterministic processes take place together, and they cannot be separated. Through the qualifier deterministic, we define a form of causality that is based on the simple sequence of cause and effect. Non-deterministic is a more subtle form of causality that reflects the many layers between our actions and our interaction with the world. If you invite someone to dinner, and your guest dies in a care accident on his/her way to you, the immediate cause—you invited the person—and the successive layers (the malfunctioning of the red light at an intersection is one possible example) are constitutive of a causal chain difficult to reduce to the deterministic sequence. The justice system knows of many non-deterministic events; so does the stock market, so does psychology, so does medicine, and so does everything that involves the living. The world would be easier to navigate if the physical laws of cause and effect governed everything there is. But it would also be a relatively boring place to live, empty of feeling, emotions, surprises, accidents, or happy events. As already stated, anticipatory processes are ultimately expressed in action. Their timescale is therefore defined by the scale of the action: the return of a very fast tennis serve has a timescale different from the fast downhill slalom trail run and heartbeat control involves a timescale different from the anticipation expressed in a work of art or architecture. The anticipations guiding Einstein in his elaboration of the theory of relativity were quite different from those guiding Picasso in his space and time representations, in cubist paintings, are very much of the same nature as space and time in Einstein’s model. On the other hand, Feynman, who had the intuition of the vast space available at the molecular level—today’s nanotechnology space—was guided by an anticipation different from that of Jackson Pollock and his action art. Furthermore, the anticipation guiding the pilot while flying takes place in a time domain different from the anticipation aiding a car driver in avoiding a collision on a two-lane road. Intuitions correspond to insight. Therefore their timescale is rather couched in the temporal realm of cognitive and neural processes, i.e., 100 milliseconds. They may lead to actions—that is, become full-fledged anticipations—but not necessarily so. To better understand their temporal aspects, as well as their specific expression, let us examine intuition-based procedures as distinct from deliberate analytical decision-making. At first look, intuition appears similar to an automated procedure. As with anticipation, we do not decide to perform an intuition (“I am going to intuit” would be as stupid as declaring “I am going to anticipate.”) But while anticipation is autonomic—that is, it results from the dynamics of living, not through deliberate action—intuition appears as spontaneous. Relying on intuition, we do not weigh alternatives against each other, because we are actually unaware of such alternatives. The intuition that the person we just met does not fit in the team is an example. When after the fact prompted by the intuition (“feeling what is right”) we can assess that, in some cases, the outcome is less successful than what we thought. Still, chances are that what the intuition prompted might be as good as what our deliberate decision-making might have generated. Yes, sometimes the casual encounter (as during a job interview), that first handshake reveals more than the application form and the letters of recommendation submitted. More than once, we realize that the self-reproach (“IF I had only listened to myself”) after shorting one’s intuition is a form of evaluation of our own criteria. The inspiration—i.e., the Aha! moment—as an expression of intuition is documented in a succession of initial ideas (e.g., sketches on successive transparent paper with variations made by designers, architects, composers) rarely overridden by more elaborate attempts at a further stage on the project. The cost benefit analysis of intuition vs. analytical elaborations in view of the performance achieved through intuitive means has encouraged many authors to argue in favor of stimulating a more intuitive approach, even though few have cared to find out what it entails. When one speaks of a scientist’s intuition (e.g., Einstein, Feynman), the association is not to the intuitive nature of art—compare the elaborate cubism of Braque to the spontaneous cubist expression in Picasso’s work—and even less to intuition at work when we first meet a person, fall in love, or find what’s right for us in a given social context (“I don’t feel that I really want to work here”). Neither the intuitive scientist, nor the artist, nor we, as we fall in love, choose a college, or decide to forego buying a house (“didn’t feel right”) juxtapose a decision tree or a matrix, with all the appropriate parameters pertinent to what we are doing to our feeling(s). Remember Poincaré, the mathematician: It is by logic that we prove, but by intuition that we discover. The analytical path—rooted in rationality and not in emotion—is relatively elaborate. It involves logic and is executed in full awareness. Intuition appears as spontaneous, and if there is something leading to it, we are not fully aware of what that might be. The training of a goalkeeper for important games, where the penalty kick can be decisive, involves studying videotapes of the players who might challenge them. On the other hand, the player who has a goalkeeper prepared to catch the ball is also driven by anticipation. His own intuition guides the choice (where to kick the ball, and how forceful his kick should be) in the last 125 milliseconds before executing the penalty. The successful company president might also train for challenging situations—the shareholders meeting, or a presentation to a future client. However, when faced with a difficult question, not anticipated in the preparation, the intuitive leader is able to turn on a dime. When training becomes excessive, such intuitive moments fade away. Everything appears as rehearsed, automatic, but no longer personal, no longer lively. Although we might not trace our intuitions back to some methodic or random preparation, we are inclined to believe that nothing really leads to it, that intuition is like spontaneous generation, i.e., from nothingness, and often against what we prepared for. We cannot account for how the choice based on intuition was made. Neither can we really pinpoint the aspects of our interaction with the world surrounding us that prompt or inhibit intuitions. In the stadium, where tens of thousands chant and scream and produce confusing sounds, intuitions are shaped by many interactions. Some authors, such as Jerome Bruner (1960), Mario Bunge (1962), David Myers (2002), observed that intuition is usually associated with a sense of familiarity with the specific domain in which it is expressed. However, there are documented intuitions in a knowledge domain for which there was no previous experience. A successful sportsman might not be a champion in slalom or basketball, but will carry intuitive decisions from one to another. But in both cases—intuitions within one’s specialty and outside it—there are no traces left after the intuition, nothing comparable to the succession of steps followed in deliberate acts of knowledge acquisition. Intuition cannot be shared. Intuition cannot be taught beyond defining it as a different way of engaging oneself in what we do, as opposed to the analytic approach, performed in full awareness of the information processed and of the methods applied. These can be explicitly described and duplicated as a proof of the adequacy of the effort, or as a step towards improving it. Intuition is consumed in the act; what counts is the result, not how it was obtained. Intuitions are not subject to repetition. (John Sculley, President of Apple Computer after Steve Jobs, tried a comeback with WineClip, on the suggestion that magnets could improve the taste of wine, thinking that the Pepsi experience would help. It did not.) However, intuitive people willing to “listen” to themselves, willing to “see” what others ignore, are known to take risks—Steve Jobs and the iPod is the best example—to try the impossible, even if this means, sometimes, to fail. The iPod was not Jobs’ invention, but he had the intuition that the “hard disk with a friendly interface” would be adopted by music lovers. Today, Podcasting is a new form of the individualized media experience. For a while, the prevalent conception was that artists are more intuitive than engineers, or than scientists, even. In the meanwhile, we realized that this is a preconception. There are artists who work in a very elaborate analytical manner. And there are engineers who do not exclude intuitive solutions from their precise deliberations. Analysis, of course, is not only a tool passively deployed in a situation, but expression of the knowledge we derive from pursuing the analytical path. This alone is of extreme significance. Intuitions seem to originate in the situation, and are part of it, consumed in the situation. Analysis always changes the situation, as if subjecting it to the viewpoint driving the analytic effort. In some other elaborations (cf. Tom Gilovich, 1993), the suggestion made is that for the observer outside the situation in which intuitive and analytical decisions are made, it seems that we have not one mind, but two. One pulls the intuitive lever, rooted in personal experience, affected by emotion and captive to the circumstance. The other activates our logical, deductive skills. But these minds should not be contrasted, rather understood as interdependent. Rationality, expressed in the path of analytical deliberations, evaluates good and less good intuitions. Practical experiences, to which intuitions act as a witness, are not accessible to rationality. Intuitive inclinations are expressed in the ability that we acquire in detecting and reflecting regularities characteristic of our past experiences, even if they are totally unrelated to the new experience within which intuitions are present. Such regularities can be correlations and associations, more often than not related to deeper levels of consciousness. That intuition is not part of our awareness in the same manner as the deliberative approach should not surprise us. On the surface, we continuously perform pattern recognition-based operations when we meet someone, look around, when we identify regularities (or irregularities). It might well be that intuition makes possible pattern recognition, as it triggers cognitive and neural processes that “are us”—we are in the process—but which we do not literally control. In other words, intuition could be the result of a particular form of learning, which is usually defined as implicit learning. Our attitude towards others—a typical example throughout the rich literature on intuition—is not an anticipation. We do not think about what or how they might do, as we perform, mostly automatically, a scanning or reading, a surmise of the feelings they might trigger in us. Nalina Ambady videotaped thirteen teachers. She showed 30-second silent clips of each teacher to students who did not know the teachers. The students rated each teacher according to variables such as “accepting,” “active,” “competent,” “confident.” Ambady combined the individual scores into a global rating for each teacher. Furthermore, she correlated that rating with the teacher’s end-of-semester evaluations by actual students. The correlation was very strong (0.76). That is, based on a 30-second videoclip, people who never before experienced the teacher were able to rate almost as well as students who worked with them for a whole semester. Ambady cut the length of the silent clips to fifteen seconds. The results were almost the same. Finally, she cut the clips to as little as six seconds. Today, the tight six-second video clips used to glean information about a stranger’s personality are rather well known. They are used on various occasions and reflect what can be called intuitive judgment. Such experiments proved that in the shortest time, outside or parallel to conscious awareness, we are involved in a rapid process that will result in accepting or rejecting a person. The science behind intuition, not unlike the science behind anticipation, is supposed to tell us how we get to know something without knowing how. But here we have to address a first major problem: Is it possible to investigate rationally, in a deliberate, analytical manner, a type of cognition that at least in appearance is void of what we associate with the characteristics of rationality? Obviously, in doing so, we always automatically follow the path of reductionism—take what you cannot handle in its existential form and reduce it to its components. In this case, some of the components are non-verbal communication, timing, emotion (and its physical substratum), memory, etc. Moreover, this leads us to the “localization” problem: Which processes can we associate with intuition? 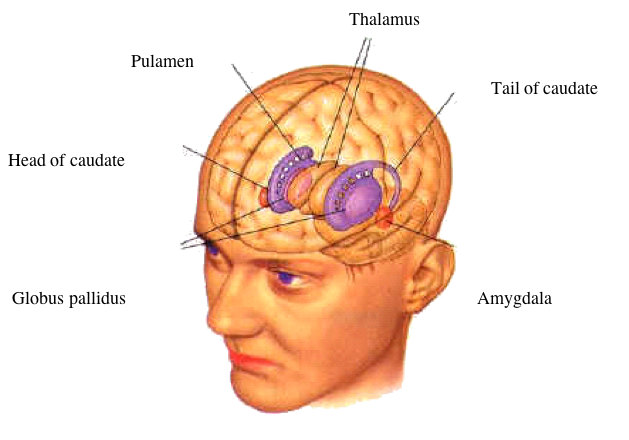 What is its neuro-anatomical base? Where is it located? Even the questions, in their generality, already establish a deterministic perspective. With all this in mind, let us revisit the results adopted so far by the scientific community. Matthew Lieberman (Intuition: A Social Cognitive Neuroscience Approach, Psychological Bulletin, 200, Vol. 126, 1, pp. 109-117) defines intuitions: “They are fast, and take into account nonconsciously [sic] generated information, gathered from experience, about the probabilistic structure of the cues and variable relevant to one’s judgments, decisions, and behavior” (p. 110). He distinguishes between intuition and insight—“becoming suddenly aware of the logical relations between a problem and the answer”—claiming that intuitions, as a subjective experience, are “an impetus, judgment, hunch, or behavioral response” (p. 113). Timing, as a particular form of intuition—an actor delivering a line in a performance, or a variety of other activities where time is an important factor—is difficult to define through an analytic procedure. In social interactions or in management, in navigating the real world of conventions, intuition is a silent but efficient partner. One cannot smile on account of analytical elaborations. The smile is an expression of intuition as related to timing and to interaction with others. “When should a product be released?” is another example of timing; even more so the many timing decisions we make ad hoc while talking to someone, or presenting a project. A good joke told at the wrong time might elicit a laugh but have bad consequences. The intuition guiding us as we go about our lives reflects the role that intuition played in evolution. Be this as it may, we realize that intuitive cognition and intuitive action have less in common than what the names suggest. 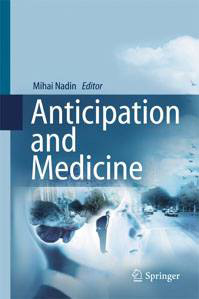 Intuitive cognition, when associated with an action, is anticipation as much as intuitive action is anticipatory. This brings up the experiments carried out by Ronald Rensink (University of British Columbia, Canada). He activated a very fast-acting mode of visual perception. In trying to address how come, in the presence of some perturbations, we don’t identify even obvious changes—dog in front of a bench, dog without the bench, the distracter being a brief gray screen—he discovered that the viewer acquired a sense for the change. That is, viewers could sense the change (from the image of the dog in front of a bench to the image of the dog alone) before they saw it. Was it guessing? Rensink called this mindsight; we call it anticipation—and we introduce it here to make clear what distinguishes anticipation that guides actions from intuition that guides choices (which we might or might not pursue). A choice pursued is anticipation prepared by intuition. This distinction will become even more apparent as we examine the way in which knowledge acquired through implicit learning becomes one of the sources of intuitions. Reber (1993) defined implicit learning as “the acquisition of knowledge that takes place independently of conscious attempts to learn, and largely in the absence of explicit knowledge about what was acquired” (p.5). It seems that implicit learning underlies the adaptive behavior of complex organisms. Ever walked someplace and had the abrupt feeling of danger? The information that contributes to such intuitions often comes from our observation of similarities. Covariation detection (i.e., noticing similarities) and frequency detection (i.e., how often a similar situation leads to some unexpected result) are part and parcel of this kind of learning. 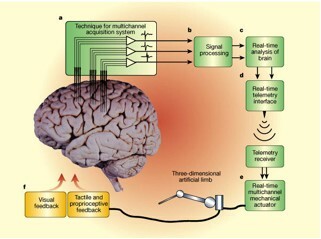 Judgment, as in the analytical procedure, is supported by a type of implicit learning different from motor response. This should come as no surprise after we stated how intuitions are different from anticipations. Intuitions do not necessarily translate into immediate actions (such as returning the fast tennis serve or escaping a dangerous situation). But it always means that the answer comes inexplicably. After the fact, we can come up with explanations. But if such explanations were good causal descriptions in the classical sense of the word, we could model intuitions on a computer. No matter how strong this sentence might sound, computers do not have intuitions, as they do not have emotions. The evidence linking the basal ganglia (consisting of the striatum, substantia nigra, and globus pallidus) to implicit learning is straightforward: Temporal patterns predictive of significant events take place by repeated exposure. After such repetitions, the basal ganglia associates the predictor to the reward implicit in the process (dopamine release) and is capable of what is called temporal pattern prediction. Since the characteristics of the process are close to the adopted description, the basal ganglia are usually seen as a correlate of implicit learning (cf. Lieberman, p. 114). The intuition mechanism brings up the reward (as dopamine release) and the role of emotions. After all, intuitive thinking is often equated with emotional thinking. That other parts of the brain, such as the amygdala, are involved only makes the deterministic localization even more questionable. Imagine now that the new circuitry, in a miniaturized form, was implanted. The bionic person shows no signs of surgery. Everything is as normal as with a person with a heart implant, or a knee replacement, or a cochlear implant to help hearing. The situation—the soccer game, a poker game, downhill skiing—that involves intuition under normal circumstances is unfolding. Will the bionic person be capable of anticipation? This is the question I left open in the introductory lines. Will a Lou Gerstner, who served IBM not so much on account of his previous work at Nabisco or a credit card company, but on anticipation-guided leadership with a brain implant be capable of the same performance? Will Bernd Pischetsrieder (former president of VW) be as visionary as a bionic person as he was as a normal, unenchanced person? Scientific optimism, which drives our work as we face the impossible, nudges me to say “Yes!” and to suggest that, as we make progress in integrating the natural and the artificial, we will be able to perfectly fix a damaged brain. Scientific integrity, which acts as our quality control instance, counteracts optimism. Torn between the two, I can only reaffirm that, just as anticipation is a characteristic of the living, the only prosthesis—whether for brain or for kidney, heart, hip, shoulder, ear, eye, arm, etc.—will have to seamlessly become part of us. That means it would have to be a living prosthesis, not a mere physical one, a piece of matter programmed for some predefined functions.. Anticipation is an expression of the whole being, not of its parts. And if we should ever try to reach the old goal of science to produce life from the non-living, we should know that such a project will not succeed unless we can endow it with anticipation. As formulated here, this fundamental claim is a mere intuition. Anyone willing to challenge it?